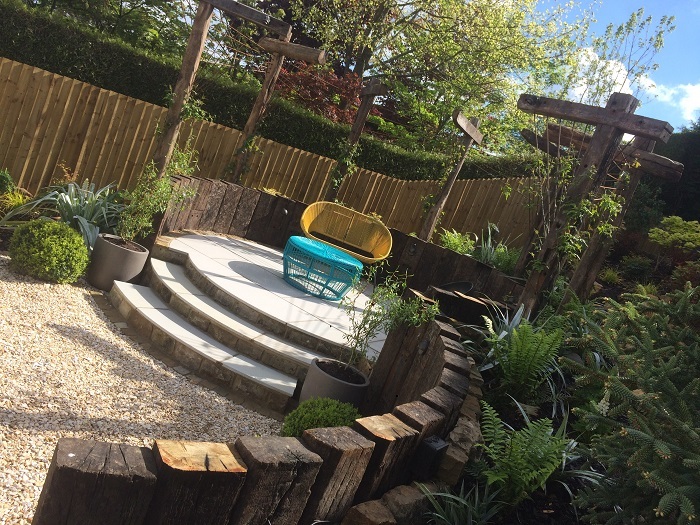 A private back garden with challenging levels and poor access made this a tough job. 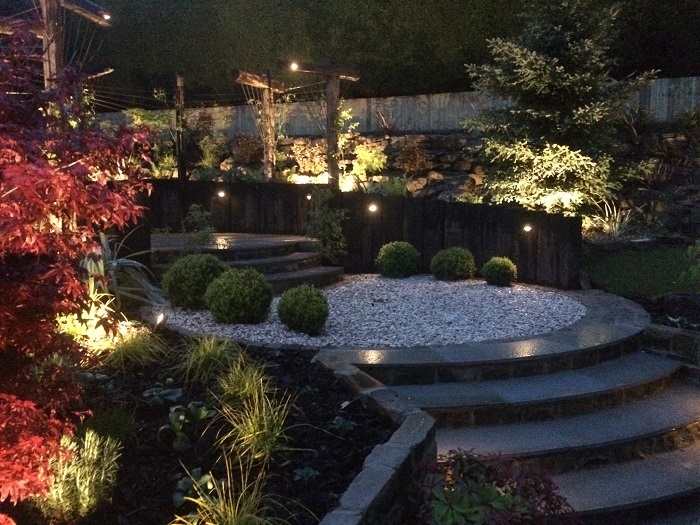 A well built existing garden had served its time and had slowly deteriorated over the years. 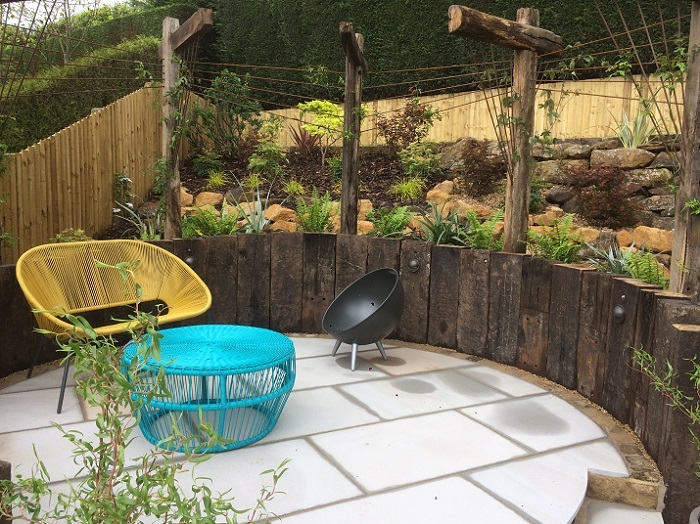 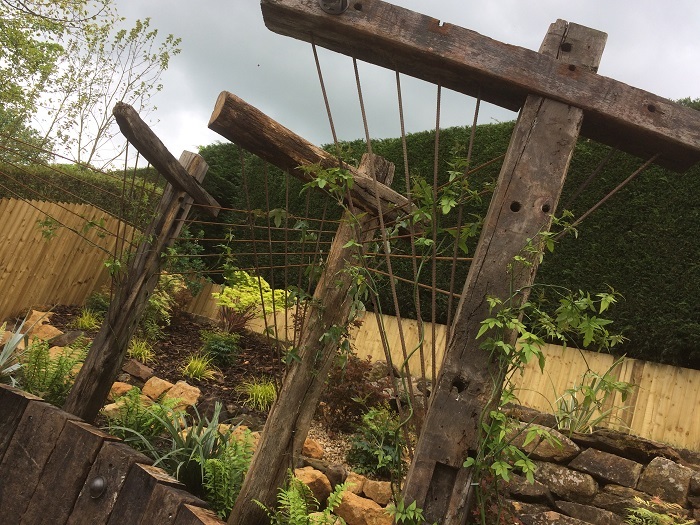 New fluid steps, patios, retaining walls, along with a bespoke pergola, composite deck and designer planting scheme brought a welcomed fresh new look to the clients outside space. 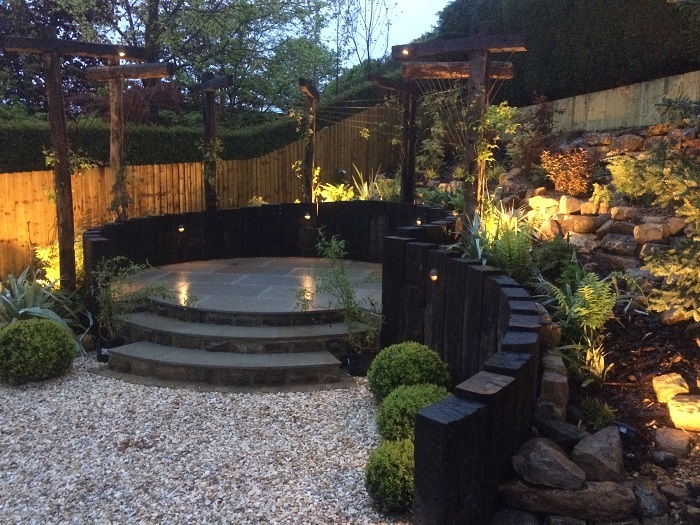 A cosy and flash design nestled into the rockery bank with a remote lighting scheme created a dramatic garden with a stage presence. 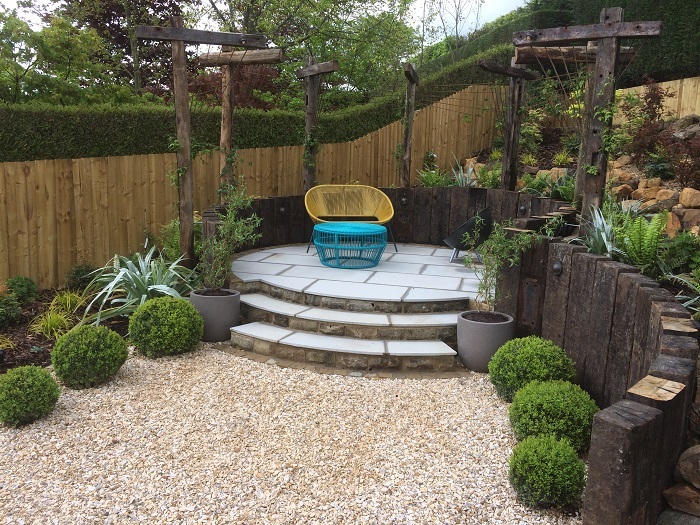 A complementary addition to the house and conservatory, this garden became a real display of quality style and flair. 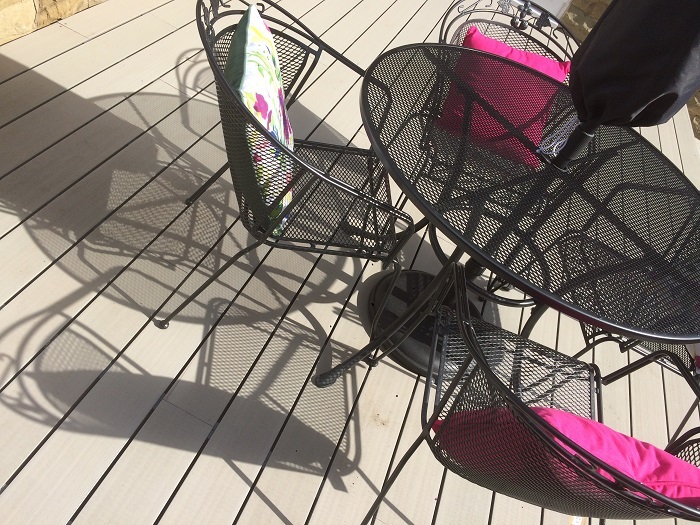 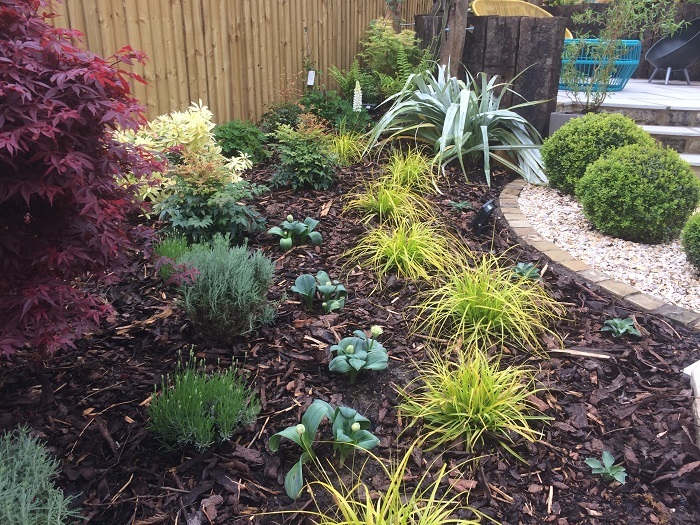 Pummice paving stone, Metsa wood decking from Finland, John Lewis furniture and another quality planting scheme from Johnsons Express adds another addition to the portfolio.